The HD2 Driver lets you play golf the way it was intended to be played-from the fairway. The Perfect Club Driver is shorter shafted than a conventional driver; and is therefore a "best driver in golf" for solid and accurate tee shots. Perfect Club HD2 Driver Womens. New for 2019! Now Available! For Golfers Who: Want accuracy, distance and confidence while achieving exceptionally more sweet spot hits. + HD2 has perfect combinations of aerodynamic speed and mass to drive the ball with explosive distance. + Dual adjustable CG settings - Draw & more draw. + HD2 is specifically designed for players seeking higher, more powerful draw-biased trajectory. + Head cover included: HD2 is USGA & R&A Conforming. The women's Perfect Club HD2 Driver features a beautiful white PVD finished club head and has 14 degrees of loft for optimal flight. New! 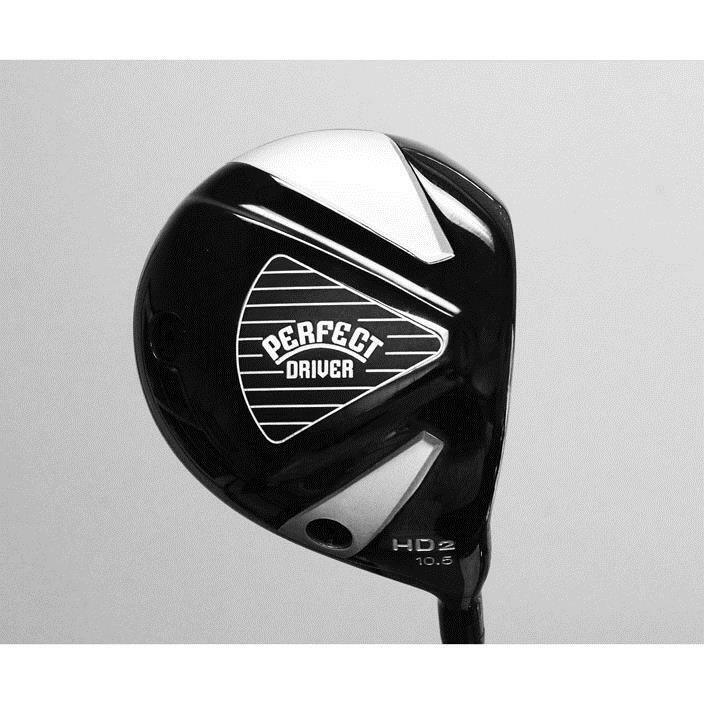 Perfect Club HD2 Driver - Shipping Now! Verified and tested to be 25+ yards further than the Perfect Driver 370! And they weren’t kidding! The HD2 has perfect combinations of aerodynamic speed and mass to drive the ball with explosive distance. Watch your confidence build when you put the HD2 driver in your hand and the ball goes farther and straighter. "Is this driver legal?" Yes - the HD2 driver face is at the absolute maximum COR allowed in golf. Trust us you will notice the difference! Perfect Weighting & “Pro-jectory” - Low and Deep is the absolute best weight arrangement if you want forgiveness, high launch, and low spin. Short video hitting the New HD2 Driver. Incredible ball speed and accuracy. Perfect sound and crushing feel. The Perfect Club HD2 is specifically designed for players seeking higher, more powerful draw-biased trajectory. The Perfect Club HD2 driver features back and heel CG settings to tune your ball flight. Standard and shipped setting offers a higher draw trajectory flight while switching the back weight to the heel offers even more draw with a slightly lower flight. Dual weighting allows the club head to close quicker creating a massive amount of Coefficient of Restitution (COR) energy that is transferred into the golf ball. Shorter is better! - "Did you know that arguably the two best golfers in history won more majors using a driver that was 43" and less? It’s true! The Perfect Club HD2 Driver is perfect at 43" in length for men and 42" length for women. Being closer to the golf ball allows you to hit the ball more solid more often aggressively. Just because the HD2 is shorter in shaft length doesn't mean you'll hit shorter drives. "The most important things when hitting a great drive is center contact and ball speed, golfers using longer shafted drivers simply struggle to make consistent solid contact because they are so far away from the ball." Why play with a driver that is 45 inches or longer that significantly lowers your chance to make solid contact? HD2 Sole Design Aerodynamics - Allows the head to accelerate quicker with less drag while creating exceptional balance through the hitting area. HD2 PVD Finish – We spared no expense on top quality and safe finishing only available from a few golf manufactures. PVD Coating produces highly brilliant finishes that is highly resistant to scratches, scrapes and corrosion. Helping your new driver last and looking better longer! Also PVD finishing is applied with no toxic residues or byproducts making it environmentally friendly. Options Available: Head cover included, 2 weights included, key included. Verified Buyer Review: 5 of 5 Total Reviews: 1 Write a review. Getting a lot more distance and my swing feels so comfortable now. Other drivers feel way to long for me. Love it and its a pretty club!